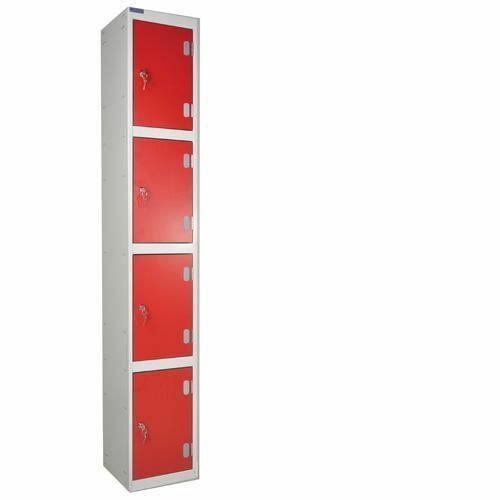 4 door lockers in a wide range of colours. Door perfectly fits to frame and opens a full 180 degrees. Supplied with standard mastered cylinder locks. Handy, pre-drilled holes and nesting bolts (supplied) make the lockers perfect for joining side by side. Available in a variety of door colours. Handy, pre-drilled holes are ideal for joining lockers side by side.